-- After many years of demanding studies of medicine, a Gift of healing chooses to manifest itself through Dr. Peter Thornton's unwilling hands. The new ability plays havoc with his professional life. The Gift becomes an insidious curse as it threatens to obliterate his promising career. He rebels against his destiny, until a will greater than his own takes over and, unwittingly, he learns how to overcome death itself. 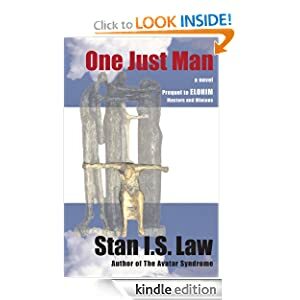 -- For 13-year-old Ronnie Day, life is full of problems: Mom and Dad have separated, his brother Tim is a constant pest, Melanie Ward either loves him or hates him, and Jesus Christ won't stay in his heart. 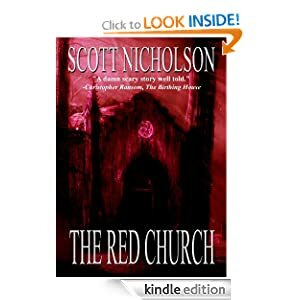 Plus he has to walk past the red church every day, where the Bell Monster hides with its wings and claws and livers for eyes. But the biggest problem is that Archer McFall is the new preacher at the church, and Mom wants Ronnie to attend midnight services with her. Sheriff Frank Littlefield hates the red church for a different reason. His little brother died in a freak accident at the church twenty years ago, and now Frank is starting to see his brother's ghost. And the ghost keeps demanding, "Free me." People are dying in Whispering Pines, and the murders coincide with McFall's return. The Days, the Littlefields, and the McFalls are descendants of the original families that settled the rural Appalachian community. Those old families share a secret of betrayal and guilt, and McFall wants his congregation to prove its faith. Because he believes he is the Second Son of God, and that the cleansing of sin must be done in blood. 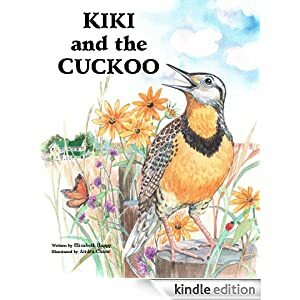 When Kiki sees the green and brown Kansas meadow laid out below him like a welcome mat, he knows just what to do-claim the meadow as his own, sing a beautiful meadowlark song, and attract a lovely meadowlark wife. What could go wrong with such a simple plan for happiness? Kiki quickly finds out, for no sooner has he rid his field of the troublesome Pekeat than another voice intrudes upon his territory: "Cuckoo! Cuckoo! Cuckoo!" And this challenger won't go away! "I'm ruined!" wails Kiki. "That bird sings in MY meadow!" So begins Kiki's rivalry with the mechanical inhabitant of a clock-a rivalry that threatens Kiki's fondest dreams. Kiki scolds the cuckoo. Kiki battles the cuckoo. Kiki even impersonates the cuckoo! -- Reynaud, of both French and Natchez Indian blood, endures a deadly slur from the lovely widow, Elise Laffont. Because of it, he demands she become his bedmate in return for saving her and her friends during a dangerous uprising. How was he to know she dreaded a man's possession? 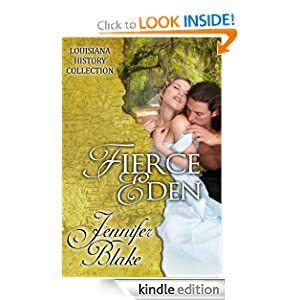 Elise expects the same brutal treatment from the half-breed brother of the ruler of the Natchez that she received from her dead husband. Instead, she is presented with a dubious bargain: Reynaud will not touch her--as long as she explores his magnificent body each night instead. Their sensual pact turns to fiery desire, forging a bond as tender as it is strong. But the war between French and Natchez escalates, forcing desperate choices between honor and duty, loyalty and love. - Having an organized day means having a productive day. When we are organized in the right way, we can accomplish more because we don’t waste time searching for the next thing to do. Being organized means working in a way that is ordered and calm. It means avoiding frantic multitasking that leads not to getting more done, but getting a few things done poorly or halfway. Organization leads to productivity in our entire day. We are tempted to think only of our work day as yielding a product, but really our home time is productive as well. It produces food for us and our families. We want to produce a tidy place to live. We want to produce leisure time and relaxation. That is why this book helps you organize at work and at home. It doesn’t feel great to go from a clean desk at work to a messy refrigerator at the end of the day. 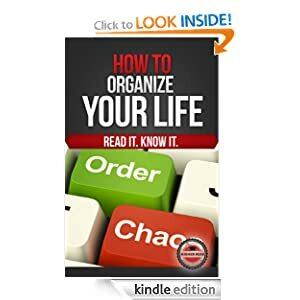 In this book you will find routines to organize your time and methods to organize the physical spaces in which you work and live. 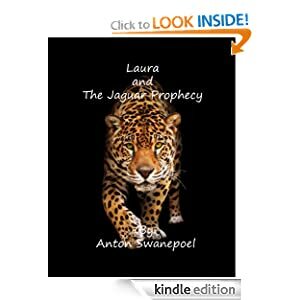 -- After losing her job, Laura accepts an invitation from an internet chat friend to go on a cruise. Little does she know she would soon become the centre of attention for multiple secret agencies searching for information she unknowingly carries, information which could either end the world or save it, depending on who finds it first. As people start dying around her, her life is suddenly directed into a path that will have far reaching consequences for her, if she can stay alive long enough. -- Although waiting can be a painful experience, God wants us to be happy and peaceful throughout the waiting process. Everything seems to be delivered in bits these days, but heaven deems it sophistication to wait on God. 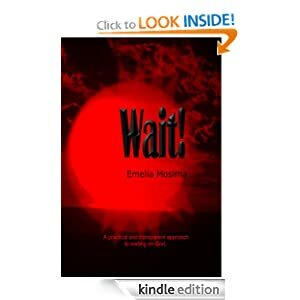 This book is practical and transparent in its approach to the concept of waiting on God. It acknowledges that waiting is not something we inherently embrace and shares powerful, biblical insights into the concept of waiting. It reveals the often shrouded traits that make it difficult for the saints to wait, and hints on what saints could do while they wait and how to wait on God. Wait! will help those who once trusted Him but are now overwhelmed by the yokes of life, reaffirm those tossed to and fro by the waves of life’s struggles, encourage those about to throw in the towel, calm those terrified by the negative reports, remind those whose faith is drowning, that the little of it remaining can move a mountain. God’s majesty lives outside of time; His strength, rescue, and reward transcends all. Why Wait? 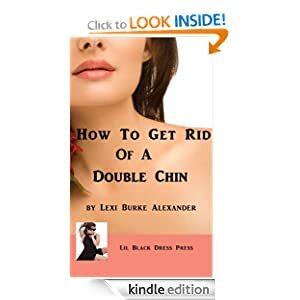 All You Have to Lose is Your Extra Chin! -- They say the way to a man's heart is through his stomach. If so, then you'll need a copy of EAT, READ, LOVE! 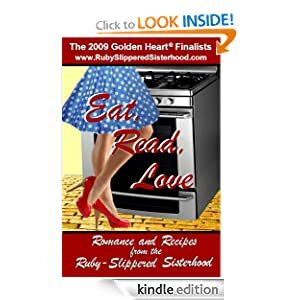 Join the members of the Ruby-Slippered Sisterhood for some "romancing the stove," and delight in romance and recipes from some of today's hottest rising stars, such as Darynda Jones, Jeannie Lin, Hope Ramsay, Laurie Kellogg, Kim Law, Amanda Brice, Liz Talley, and more! Because there's no place like the kitchen! NOTE - If you're reading this message, you've probably got a smartphone, computer or iPad. Get a free Kindle Reading app and take a break from your world with free books! Available on your iPhone, Android, Blackberry, PC, Mac, iPad or iPod Touch. Or check out: Kindle ~*~ Kindle PaperWhite ~*~ Kindle Fire. NOTE - Before purchasing Kindle Books, make sure that it is in fact still free. Though free at time of posting, prices may change at any time. Be sure to verify the “Kindle Price”, before purchasing. If you do happen to buy a book that you thought was free, you can return the book within 7 days for a full refund. NOTE - UK books are not always the same price as the US book bargains - and a UK Kindle book option may not always be available.